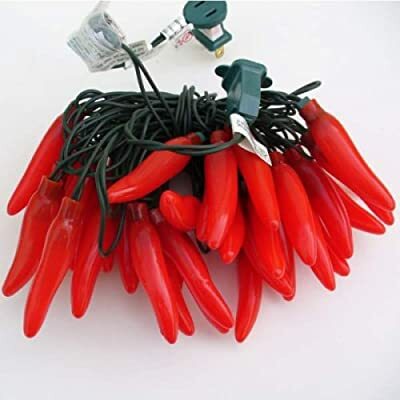 35 Chili Pepper String Lights are RED HOT! Made of a rubber / latex material so they will not break and can easily be removed or replaced with the same color chilies or different color ones. Fun for parties themes such as Western, Southwest, Mardi Gras, Cowboy and Cinco de Mayo.